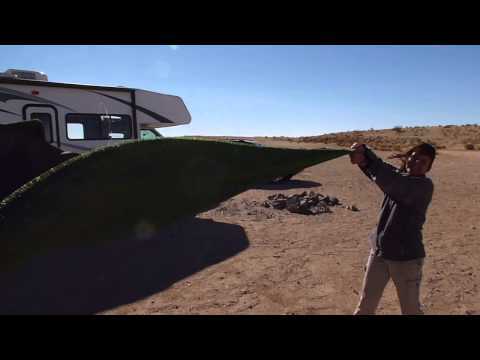 We knew we were back in the California desert when high winds started rocking our RV. The next morning, shaking out the rug was an easy task, as all we had to do was hold on to the rug, and the wind did the rest. Actually, it was quite a challenge just to hold on to the rug in the sustained 40+ mph winds. This was in Dove Springs Recreation Area in south-central California.